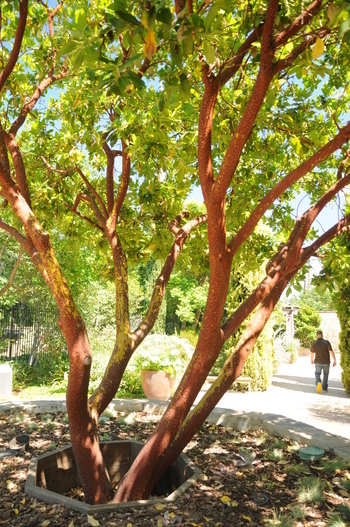 Generally, madrone species are difficult to keep alive in the nursery for longer than 5-8 years because they're so susceptible to root rot. But this is a robust hybrid, a truly exceptional nursery plant. 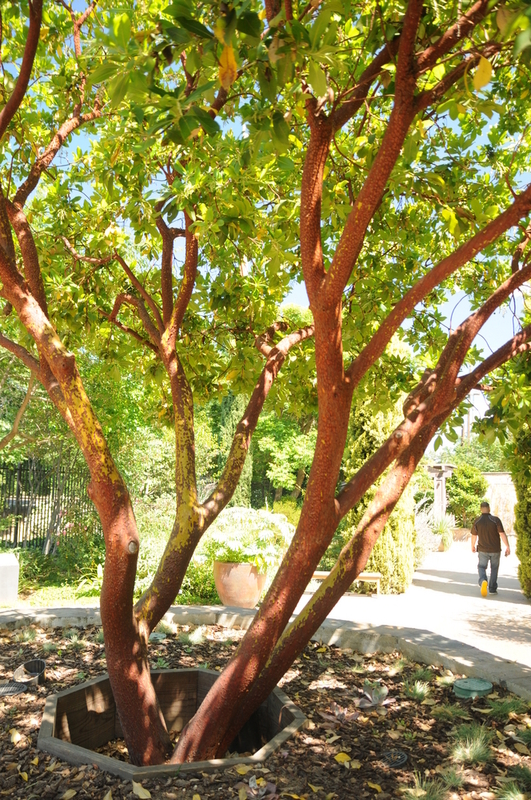 Drought tolerant, easily grown and attractive reddish flowers accent its handsome, orange-cinnamon bark. The biggest specimen in the US is 45 x 45 ft., but it is generally of smaller stature, a superb selection for CA and sunny south exposures in the PNW.